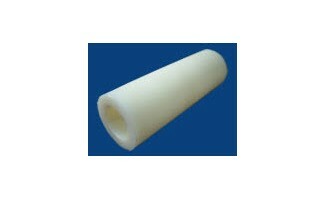 Extruded nylon tube is strong, very rigid, and has a high melting point. The exceptional bearing and wear properties of nylon make it one of the most widely used plastics in the world. Nylon is frequently used as a replacement for bronze, brass, aluminum, steel and other metals, as well as other plastics, wood, and rubber. Natural nylon is FDA, USDA, NSF, and 3A-Dairy compliant.